These days longboards are a common sight on the street. 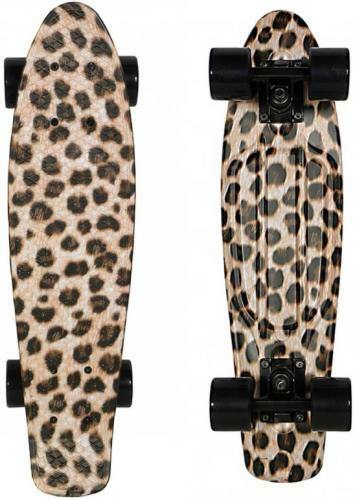 Many kids, teens, surfers etc cruise the streets and boulevards on these long skateboards. Not only are they hip, they’re also a good alternative form of transport and especially now that the mini long boards are popular, you´re able to take your longboard with you everywhere. Just throw your mini longboard in your backpack or tie him on the side. When you jump off the train just roll over the streets to school or work. Because of the large wheels the mini longboards can achieve high speeds while they are also easy to maneuver through traffic. You can also use longboards downhill. In Holland there aren’t really any suitable hills for this but just a high viaduct can be enough for plenty of fun on a longboard. For skating distances just for fun or for long distances. This board is often quite long. 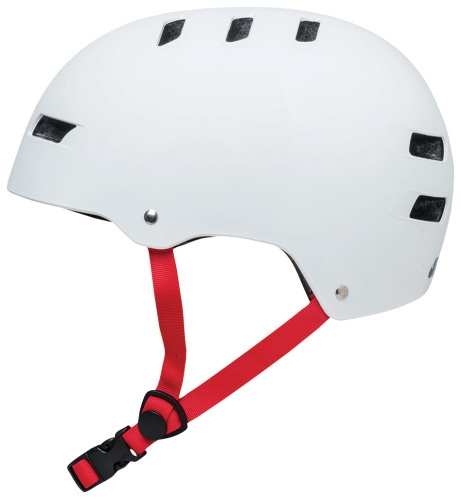 For downhill or long distance. “Dropped” regards how the trucks are attached, the deck of the longboard is lower than the trucks that the deck sits on. The longboard stays stable at high speed. For the skatepark, in the pool, or just skating distances for fun. The deck often has a tail and is maneuverable because of it’s shorter format. Because of its size it’s easy to carry on public transport as an easy way of getting around the city. There are many models and variations of the above longboard decks. There are so many sorts of decks produced that almost everything is to be found. Pintails with a kicktail instead of a tapered shape are popular. These sorts of decks have the advantage of a big board (room to play, to chill ride, comfortable) but with a kicktail so you can try more. There are also special decks to slalom or to sit on to go downhill. 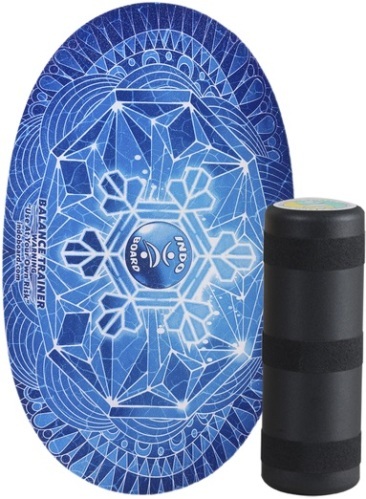 If you’re buying a board for the first time then this won’t really be in your interests so we won’t go on. Concave is a bend in the width of the deck. 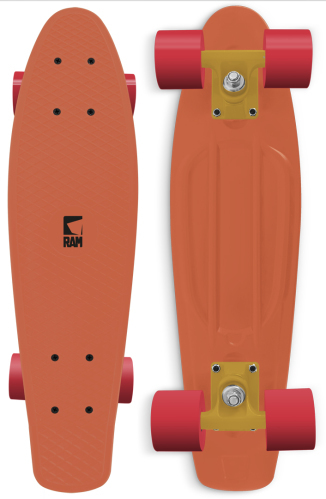 Because the sides are slightly higher than the middle of the board you stay standing easier and you can feel how and exactly where you stand on your longboard deck. Concave decks also make the board more rigid. The opposite of concave is convex. Camber is a bend in the length of the deck. The middle of the board is higher than the nose and tail. A camber also makes a board stronger and the rebound more dynamic (see below). Flex is the bending of your deck under load. The main effect is that the geometry of the trucks changes if your longboard flexes and you can steer sharper or with less difficulty. In addition the power of the rebound (the flexing back of your deck) can be used to carve or pump. 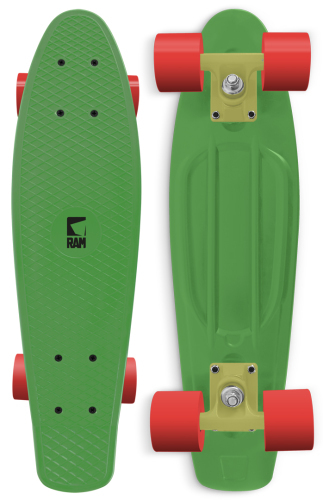 For the most beginners a longboard with a lot of flex isn’t great because it feels a bit less secure than a rigid deck. Almost all boards are made out of wood, whether or not reinforced with other materials. Exceptions to this are for example decks made of bamboo or plastic. Each material has typical characteristics that are sometimes reflected in the ride experience of the board. The wood that is used by the big brands in the longboard industry is maple. This is a lot stronger than the affordable alternative, Russian birch. Additionally fiberglass is often used for strength and torsion rigidity. A kicktail in a longboard is a slightly upward bent tail just as is found on a skateboard. The difference between a flat tail and a kicktail is that a kicktail serves for more serious use such as ollies and parkskating. Longboard trucks are mostly 180 millimeter. Broader trucks are possible, but then you’ve got to be a little more advanced. These are considerably harder to steer. The narrower the trucks, the smaller the turn circle, therefore the more agile. The position of the kingpin has considerable influence. A vertical kingpin is not ideal for a longboard because then the turn circle is wide, you can remedy this by setting your trucks on more of an angle, hence, ‘angled risers’. The kingpin is the large bolt that runs through your truck. If you tighten it then the truck moves less effortlessly. A completely loose truck is enough to slide out hard… a tight truck won’t let you make a bend. The bushings sit around the kingpin and are a bit soft. Bushings make the truck move effortlessly when you steer. By using softer bushings you can steer your trucks easier. Harder bushings make your truck a bit stiffer. If you have already tightened your kingpin with no effect, then you can put different bushings in your trucks. This is again a bit advanced for someone with their first longboard… so you don’t have to take this into account just yet. ‘see art.wheelbite’. There are two important factors when it comes to your longboard wheels; diameter and hardness. In other words, how big your wheels are. 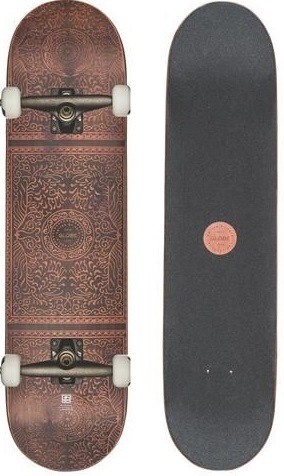 ‘Normal’ skateboards have small wheels and people that only do downhills have big wheels. In between there is a big difference. Big wheels roll for longer but pick up speed slower. In general for cruising you want bigger wheels. Carefully choose which size wheels fit your longboard. How hard do you want your wheels? The softer the more comfort, the harder the slower you go. 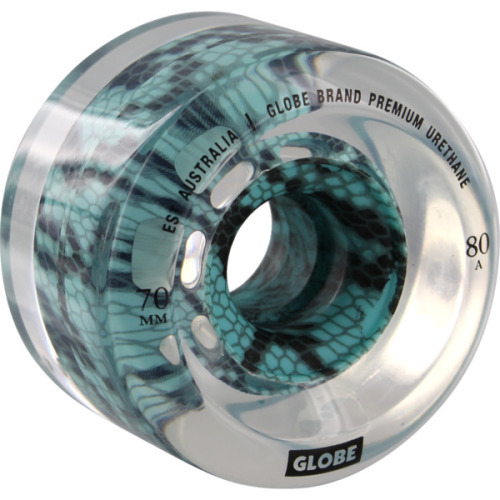 Really soft wheels (75a) suppress vibrations and have a lot of grip but feel like chewing gum. Really hard wheels (90a) don’t lend any comfort and you shake like a leaf but you go nice and fast. A disadvantage of hard wheels is that you have little grip, so you break quickly. This can also be an advantage, many people have a set of ‘slide wheels’ that they use if they want to slide, these wheels are rock hard. A good middle road is to go between 78A and 85A. Then you can go all out on really flat surfaces and also on klinkers. Make sure that your wheels fit your longboard well, as wheels that are too large give you ‘wheelbite’. With wheelbite, during steering your wheels come against the bottom of your board and you stand still. Painful. With a riser, plates between your truck and your board, you win more room for your wheels. Or you choose for broader trucks so that your wheels stick out further… also and option. It’s very personal…. They’ve gotta roll and not break easily. Don’t pay too much attention to them. There is an ABEC standard on lagers. Some people make a big deal of this while it doesn’t often say much. In any case it says nothing over the quality. On some bearings the balls are visible… these get dirt in them quickly. On others you can remove the covers that protect the balls.. they’re easier to clean. Whatever your preference is… there is little difference as far as design or function between the various affordable bearings. Your bearings deteriorate in quality when you use your longboard in wet conditions. The wet bearings take sand in which gets lodged inside. There are two bearings in each wheel. In between is a metal tube that we call a spacer. They ensure that the bearings don’t move out of position. Spacers are essential but have no further use. Speedrings are often included in the trucks. They’re small rings. First one goes on the axle, then the wheel, then another and then fasten the nut. The result is that there is less friction between the turning wheel and the nut on the axle from the truck that stays still. That saves loss of speed, hence the name speedring.